Iron is needed for the formation of blood, muscles and enzymes -- it plays a key role in your body's ability to produce energy, and also helps you transport oxygen. However you only need a few milligrams of iron daily -- 18 for pre-menopausal women and 8 for post-menopausal women -- and your body also stores iron in your liver to serve as a temporary stand-in if you're aren't getting enough iron from your diet. However, because iron gets stored in your liver, excessively high iron levels can affect the health of your liver and pose a health risk. Generally, you'll only develop iron toxicity if you take iron supplements at a high dosage, or take unnecessary supplements for a long period of time. The extra iron the supplements gets stored in your liver tissue, and eventually reaches toxic levels. A genetic condition, called hemochromatosis, also puts you at risk for iron toxicity, because it causes your body to absorb too much iron from foods and supplements, even if you already have enough iron in your system. Taking a single dose of iron that is too high can cause you to vomit or have diarrhea. If you've taken a very large dose, this can also pose a serious health risk, causing brain damage, coma and death. Chronic over-cosumption damages your liver tissue, and can also damage your stomach, kidneys and heart. Symptoms of hemochromatosis vary and often don't show up until middle age. They may include abdominal pain, impotence, fatigue and joint pain. Liver damage associated with iron overload can cause jaundice -- a yellowing of your skin and eyes caused by the leeching of chemicals out of the damaged liver tissue. In a blood test, this tissue damage would also manifest as elevated liver enzymes. Liver damage can also cause your urine to darken, due to the presence of bilirubin, a chemical given off by the damaged liver cells. Your stool might also appear pale because of a lack of bile secreted by the liver. 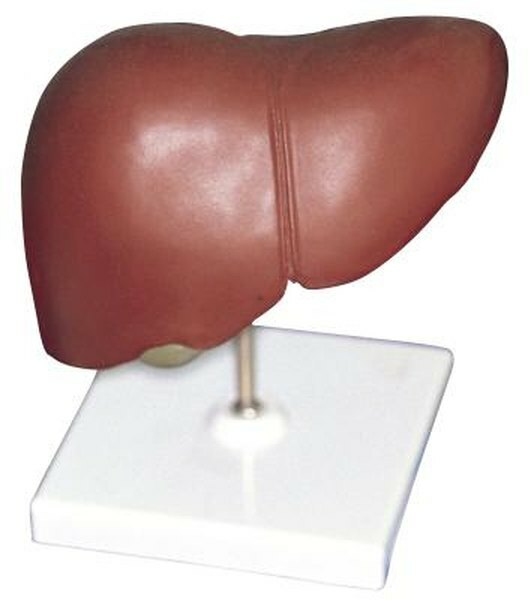 To prevent damage to the liver from high levels of iron, you need treatment as soon as possible. An iron overdose is often treated by an injection of deferoxamine, which attaches to the excess iron and brings it out of the body through your urine. If the high iron levels are caused by hemochromatosis, bloodletting is the most common cure. If you have hemochromatosis, it is important to get treated early and regularly. Bloodletting can remove the excess iron for a time, but it can't repair the damage that has been caused by the condition before treatment starts. The sooner you get treated, the less damage will be caused to your liver. If you have family members with the condition, a genetic test can indicate whether you are at risk for hemochromatosis.